1. 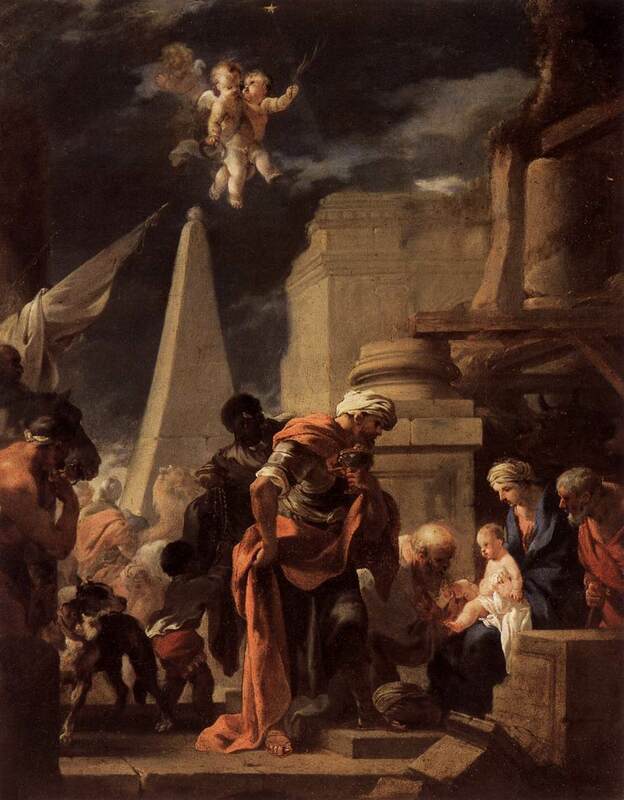 This “Adoration of the Magi” piece is by Diziani Gaspare. Notice the outstretched hand of the baby Jesus. Notice a single foot of baby Jesus being depicted. 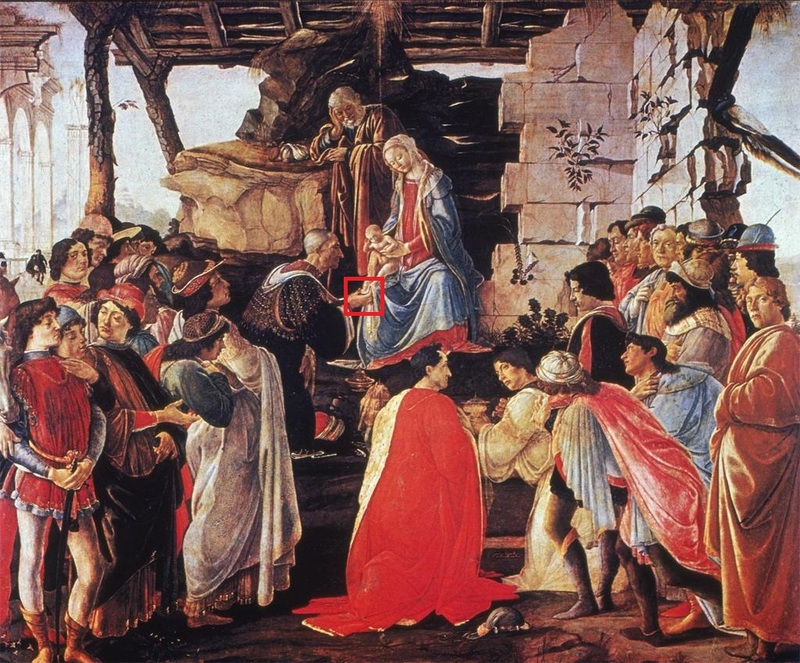 Finally, notice Mary’s face is pointed at a down angle, facing left. 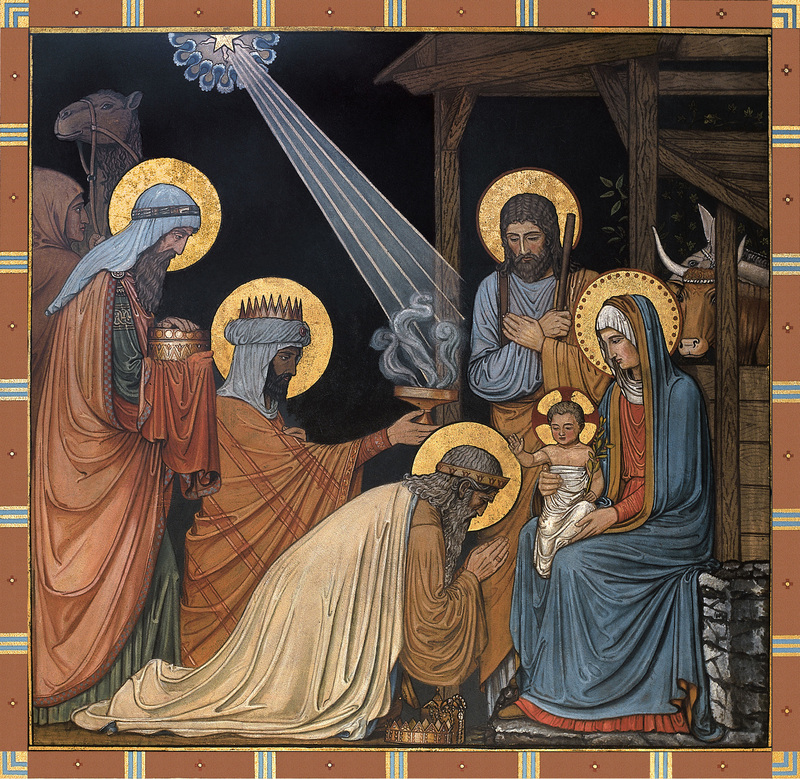 All these subtleties are clues to the whereabouts of Mary and the Baby Jesus. 2. “Adoration of the Magi” by Bernardo Cavallino. Baby Jesus with an arm extended and one of the Magi are holding and kissing a single foot. Mary’s head tilted down and facing left. 4. 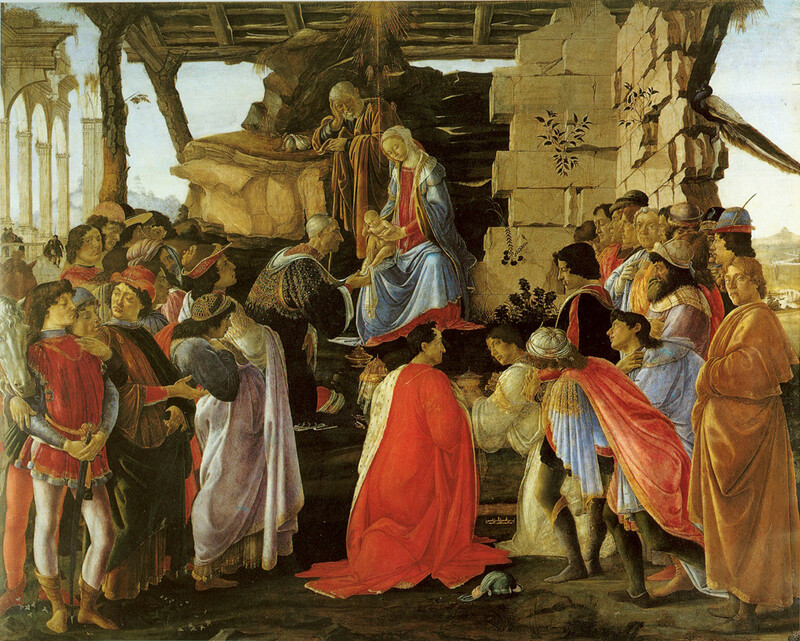 “Adoration” by Filippino Lippi. Once again a single foot is extended by Baby Jesus with not much of an arm extension noted. Mary’s head down and facing left. Also notice the golden halos about the head of Baby Jesus, Mary and a wise man. I am not really sure what they represent but I will attempt to locate the representation like I have with Baby Jesus and Mary. 7. 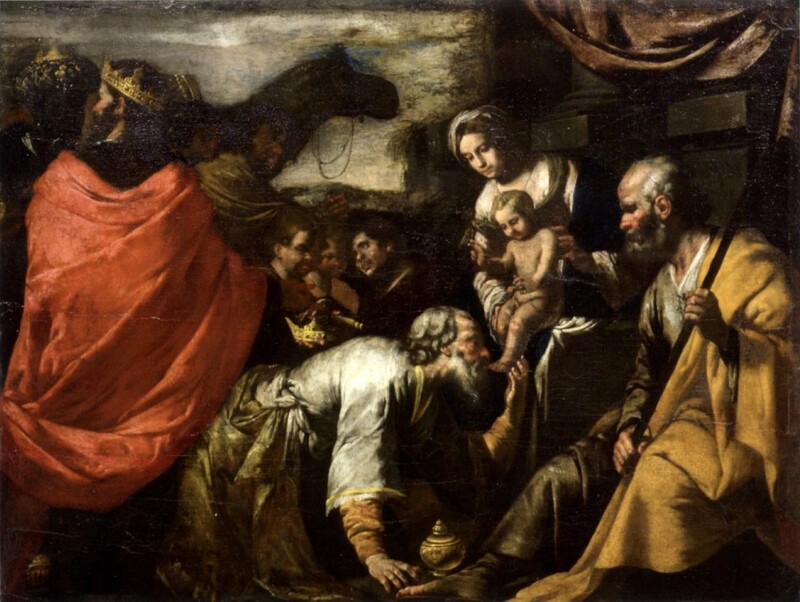 Not sure on the author for this “Adoration” painting but the similarities are still present. Baby Jesus arm extended with someone holding a single foot. Mary is again facing left with her head down. Gold discs. What you have just seen are the same subtleties, repeated by several different artists. They hint to the real life location of both the baby Jesus and the Virgin Mary. Essentially, if one were trying to locate the Virgin Mary on Earth, one would expect her face to be pointing left at an angle facing downward after viewing these paintings. One would also expect to find the Baby Jesus nearby as well, since she holds him in every depiction. Conversely, one searching for the baby Jesus, should look for something that has a single foot with an extended arm. And due to the enormity of his story, I would expect an equally enormous representation. Thanks in part to all the wonderful “Adoration of the Magi” pieces and one tiny little misspelling, I believe I have been able to locate both. The misspelled sign was “godbye Babylon”. An obvious misspelling of the word “goodbye” but I took it as a sign and started pondering\researching “God is by Babylon”. 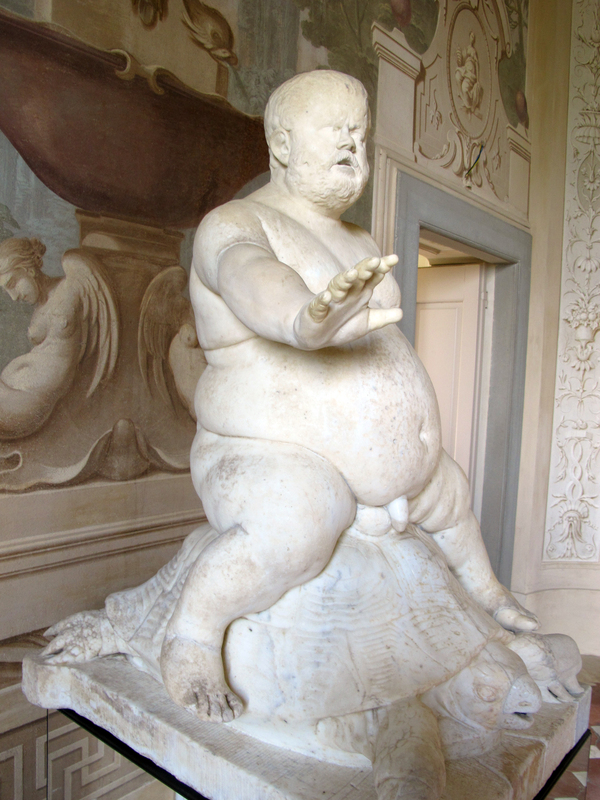 The depiction is of a small portly man riding a turtle. 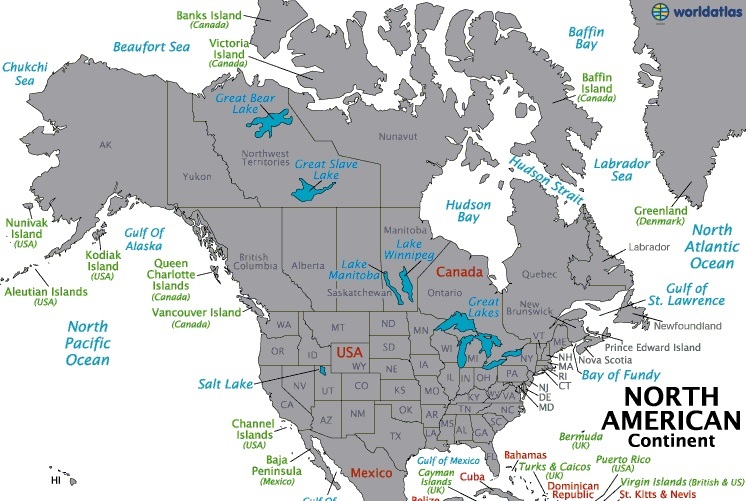 The old Indian name for North America is Turtle Island. In reinterpreting this piece, Nano Morgante is depicted as sitting atop or riding North America. 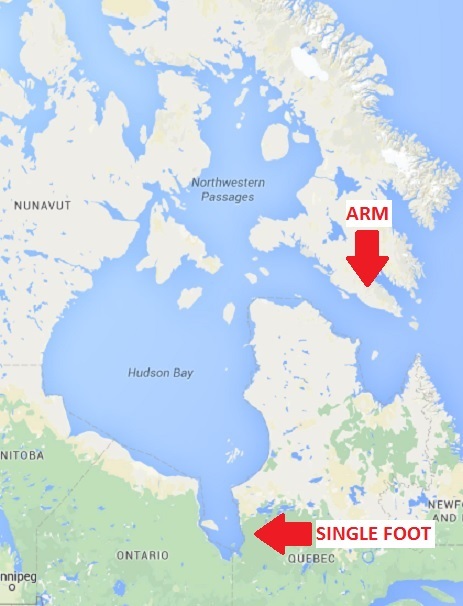 In finding this image a year ago, I knew I had a tentative match to my Hudson Bay “guy”. But is he “God”? I’ll continue on unanswered but before we do, did you notice his extended right arm? Have you seen this somewhere before? B. In researching further the Boboli Gardens, I came across the Uffizi. The Uffizi is a renowned Art Museum in Florence, Italy. I asked myself, any Dwarf of the Medici art present here? 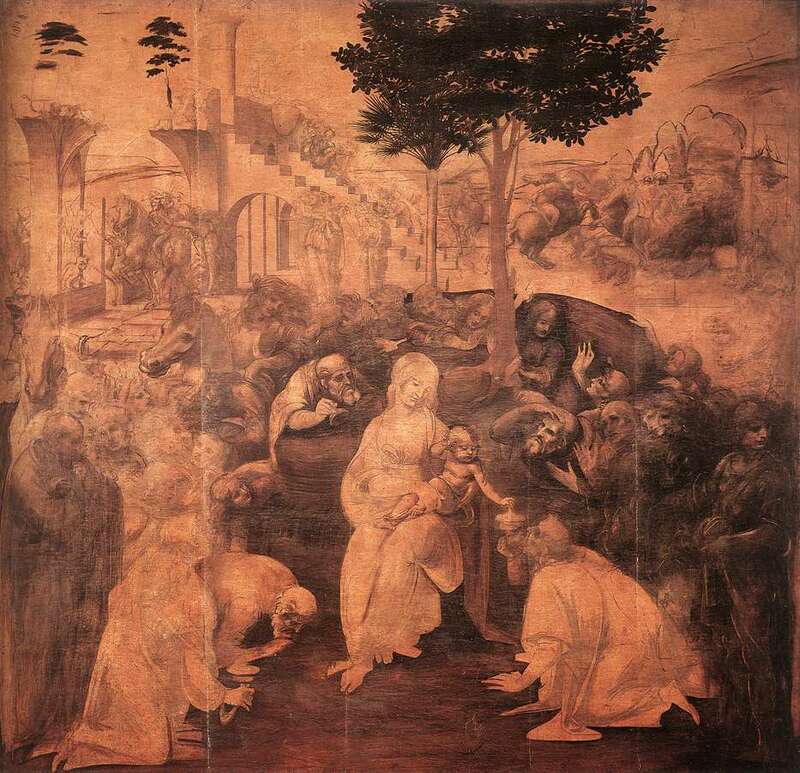 I Googled “Nano Morgante Uffizi” and found the lack of any additional artwork, deafening. How is there no Art covering this larger than life land image? “Adam” has numerous authored pieces of Art and is nearly an eighth of its size. Surely this monstrous creation had to of been chronicled somewhere, somehow, in some MAJOR fashion. Because this is not your run of the mill, every day, ordinary, land image. It’s immense. The undertaking for creating such a land image had to be, beyond immense. This alone requires the story itself to be immense. 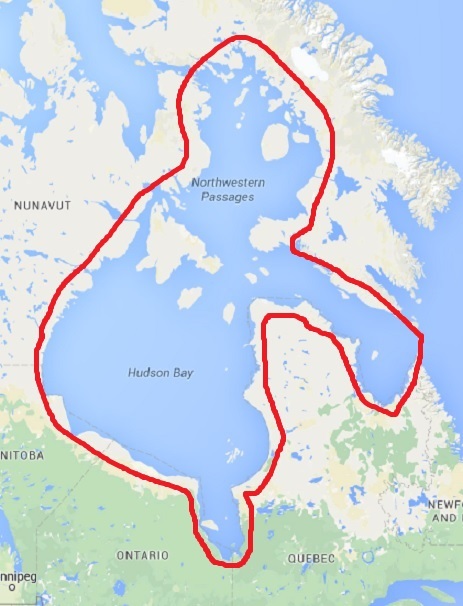 Soo, what IMMENSE World story would fit this massive geographical land feature? 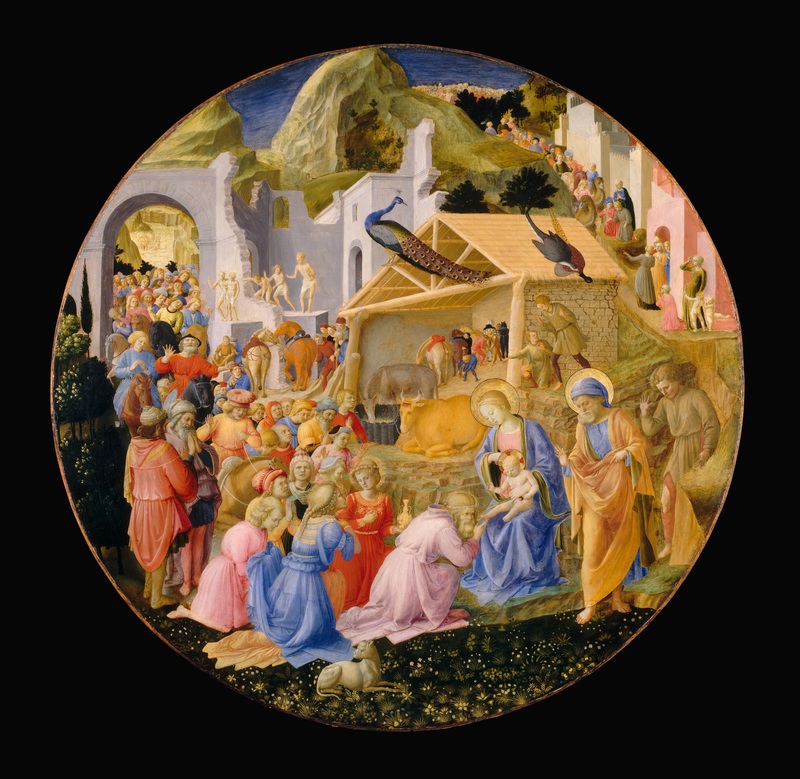 The above painting is of the Adoration of the Magi by Fabriano. 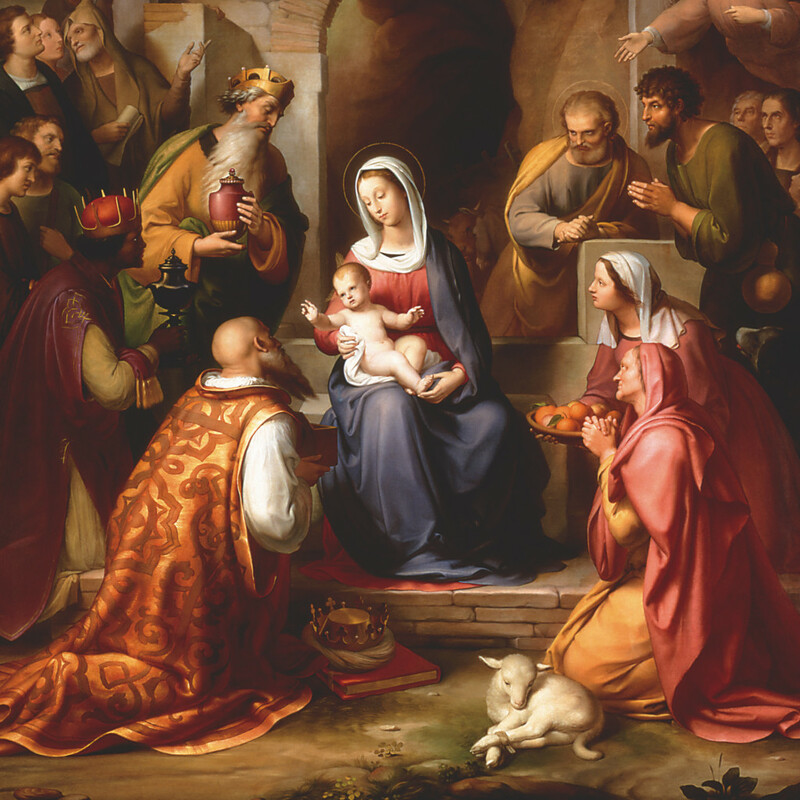 The scene depicts Kings and Wisemen paying tribute to the Baby Jesus and Mother Mary. Jesus! The Virgin Mary! Two of the biggest figures known to mankind!? “Immense” story – check! 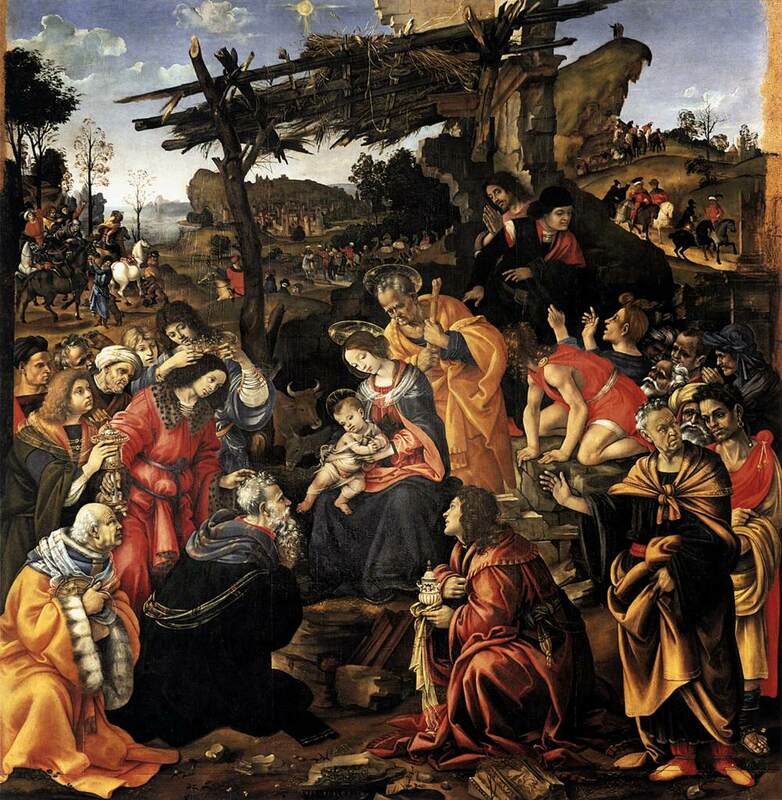 In reading this “story” or painting, I immediately noticed the outstretched arm of the baby Jesus. Then I noticed the “Magi” kissing the foot of baby Jesus. 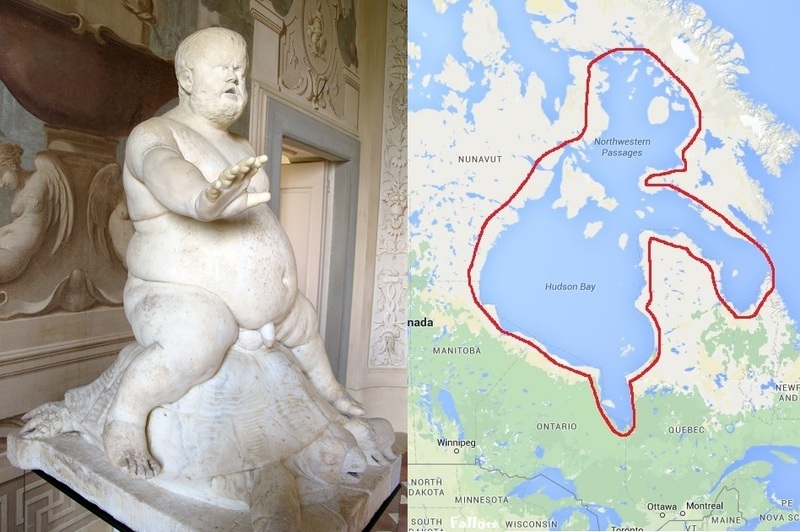 I instantly started drawing parallels and making circumstantial connections to the “Dwarf of the Medici” land image. 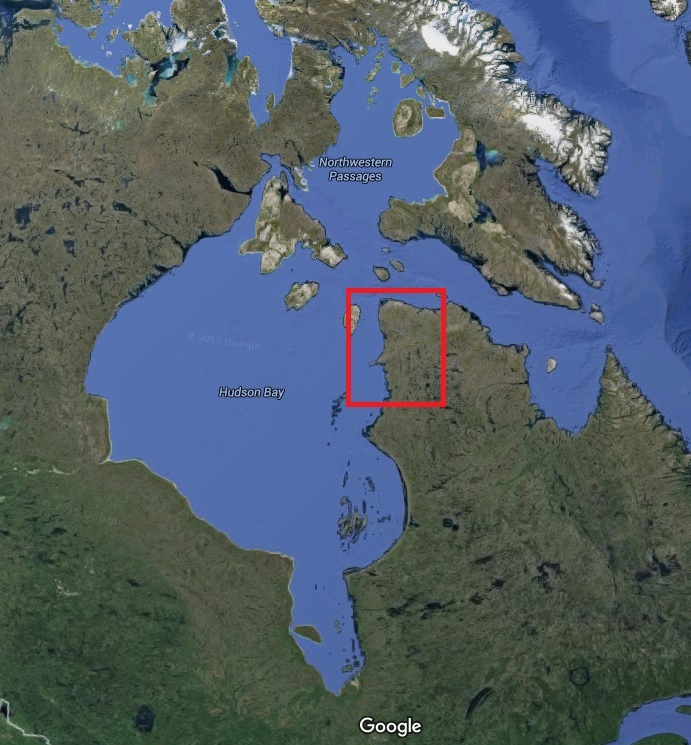 “See” my massive geographical land feature has two very distinct features, besides looking like a giant, chubby baby. It has an extended “arm” and only one “foot”. And from what was covered above, these connections were present almost universally, in all pieces detailed. Meaning the concept is universally understood and practiced. C. Time for that land image. Here is a Google Map image of what I originally believed to be, the Dwarf of the Medici. 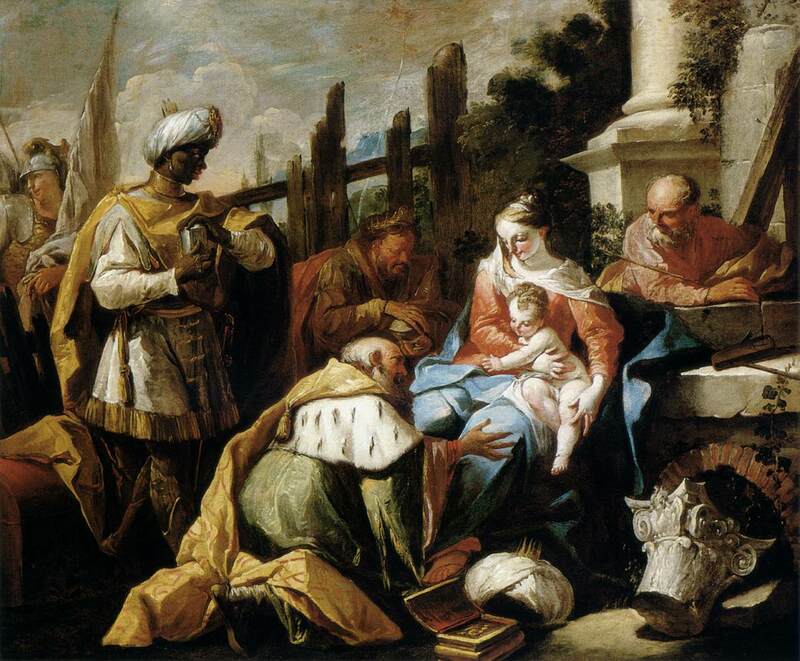 After viewing the “Adoration of Magi” pieces, I now believe it may also represent the Baby Jesus\Jesus. 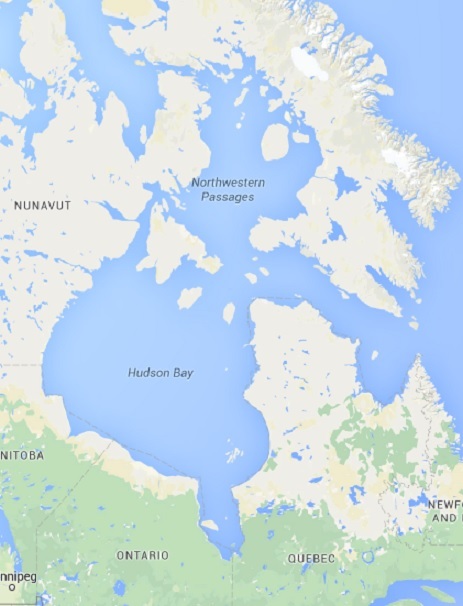 Yes, as ridiculous as that sounds, I am suggesting the following earth feature\image containing the Hudson Bay, is the muse for the Baby Jesus\Jesus story\myth. And I COULD NOT BE MORE SERIOUS! E. Old stone face aka Mary. 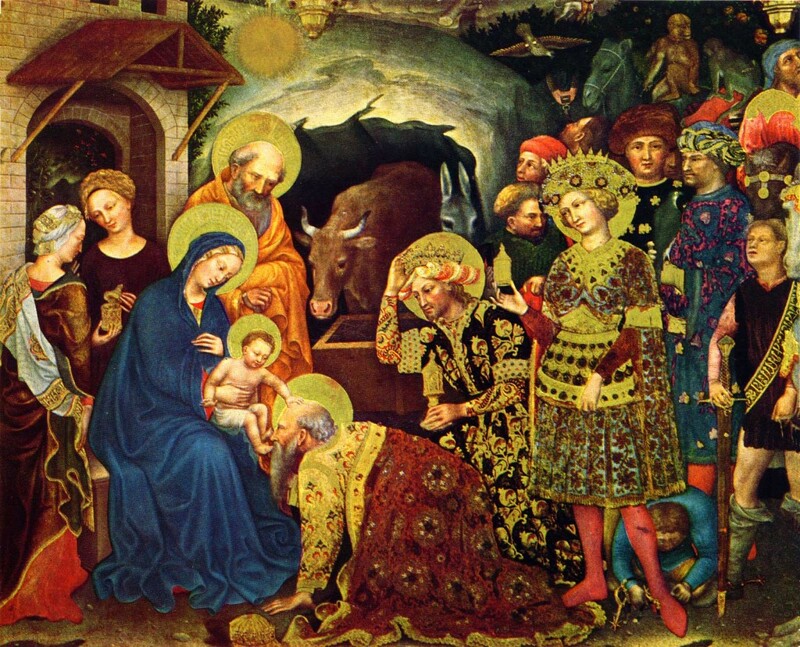 Scrambling to look at the color of her face in all the “Adoration of the Magi” pictures eh? Outside of a few “rouge” added pictures her face is usually stone white. While you are scrambling also notice her blue robe in all the pictures. I believe this depicts the water surrounding her. This land feature is what I believe to be, the muse behind the Virgin Mary myth. Figure out why her conception was immaculate yet? 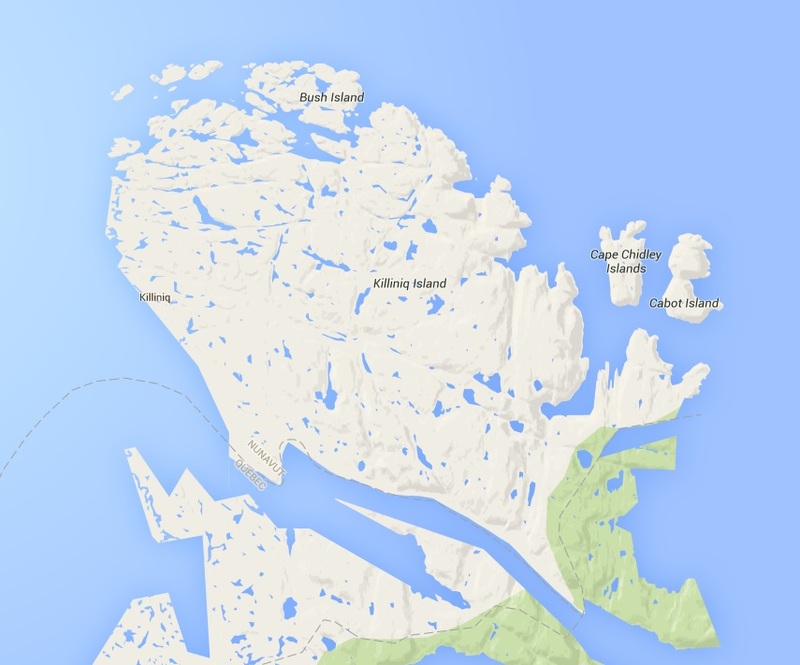 Killiniq Island represents the “ball” as depicted atop the pyramid. Killiniq Island. “Killin IQ” Island. Hmmm, interested to know the Native translation for the word “Killin IQ”. I mean it can’t mean the obvious, right? Anyways, as you can see, Bush Island is also here. And for some reason, I do not think its name was derived from the plant\tree. Lastly, Cape Chidley Islands caught my attention. For no other reason than “see”ing the word “child” in “Chidley”. Specifically “Child ey” or “Ye Child” or “The Child”. Sooo yea, “The Child” Islands are located next to THE CHILD, the Baby Jesus. Cant make this stuff up and as you can see, I am not. That is all I have for now on this topic. My next post on this topic will be an outline of all my evidence. Essentially a top ten list of all my heavy hitting material to fill in this picture a bit more. Still highly circumstantial and the reason I will remain silent, on the bigger picture meaning for now. 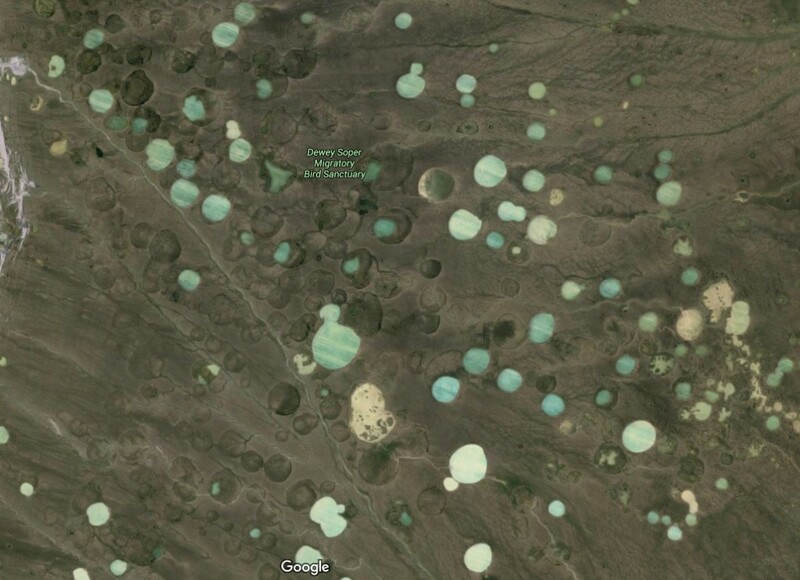 A freakish amount of circular land shapes. Some wet and some dry. They dot the coastline where the “eyes” of the Baby Jesus are assumed to be. This unique pattern is not duplicated elsewhere within this region or nearby regions. Its completely anomalous. Mine pits, bomb site, Alien airport? It means something because it sits at the face of this Baby Jesus\Jesus land image. It means something because the artwork says it does. What the golden halos or these circular land shapes mean right now, I have not an idea. But I am certain from my previous findings, that it may mean something like this. Something anomalously weird.